In the present paper, the use of a novel carbon paste electrode modified by 7,8-dihydroxy-3,3,6-trimethyl-3,4-dihydrodibenzo[b,d]furan-1(2H)-one (DTD) and oxidized multi-walled carbon nanotubes (OCNTs) is described for determination of levodopa (LD), acetaminophen (AC) and tryptophan (Trp) by a simple and rapid method. At first, the electrochemical behavior of DTD is studied, then, the mediated oxidation of LD at the modified electrode is investigated. At the optimum pH of 7.4, the oxidation of LD occurs at a potential about 330 mV less positive than that of an unmodified carbon paste electrode. Based on differential pulse voltammetry (DPV), the oxidation current of LD exhibits a linear range between 1.0 and 2000.0 μM of LD with a detection limit (3σ) of 0.36 μM. DPV was also used for simultaneous determination of LD, AC and Trp at the modified electrode. Finally, the proposed electrochemical sensor was used for determinations of these substances in human serum sample. The rapid progress in nanotechnology and nanoscience introduced a scientific momentum involving the fundamental understanding of the properties of nanostructures, the synthesis of nanoscale materials, the imaging of nanostructures, and the assembly of functional nanoscale devices . Carbon nanotubes (CNTs) are new kinds of carbon nanostructure materials possessing properties such as high electrical conductivity, high surface area, chemical stability and significant mechanical strength . CNTs have been the subject of numerous investigations in chemical, physical, and materials areas due to their novel structural, mechanical, electronic and chemical properties . CNTs have demonstrated to be extremely useful for the development of new electrode materials. Their electrocatalytic properties have been widely demonstrated in connection with several compounds of clinical, biological and environmental interest . Also, the application of chemically modified electrodes (CMEs) in electroanalysis offers several advantages. They can lower the overpotential, increase the reaction rate and sensitivity and improve selectivity [5,6]. The chemical modification and solubilization of carbon nanotubes represent an emerging area in the research on nanotubes-based materials. Surface chemistry of carbon nanotubes is critical to their physical properties and applications. For instance, sidewall functionalization is one of the most important ways to make soluble nanotubes, and is also important for many applications such as nanotube assembly [7,8] and electrochemical sensing [9-11]. Many methods have been developed to perform sidewall functionalization to carbon nanotubes, such as chemical modiﬁcation, chemical doping, electrochemical methods and physical treatment [12,13]. Depending on their atomic structure, carbon nanotubes behave electrically either as a metal or as a semiconductor. The aromatic ring system of CNTs  can be disrupted by the application of oxidation reagents, such as HNO3 or a mixture of H2SO4/HNO3, and therefore nanotubes can be functionalized with groups such as hydroxyl, carboxyl or carbonyl that are necessary to anchor guest species such as metal ions to the tube . As a result, most of the properties of the guest can be synergistically combined with those of the host to yield composite materials with superior characteristics. As is well known, CNTs have a strong tendency to agglomerate due to their nano size and resultant high surface energy. However, the grafting of chemical functionalities, e.g. carboxylates, on the surface of CNTs imparts negative charges, and hence creates the electrostatic stability required for colloidal dispersion . The subtle electronic behavior of carbon nanotubes reveals that they have the ability to promote electron-transfer reactions when used as an electrode material in electrochemical reactions [17,18]. Since CNTs possess interesting electrochemical properties, contributed by the activity of edge-plane-like graphite sites at the CNT ends, it can be used for construction of modified electrodes. These electrodes exhibit low detection limit, high sensitivity and fast response due to the signal enhancement provided by high surface area, low overvoltage, and rapid electrode kinetics . In recent years, the modified electrodes have been extensively applied to separate the electroanalytical signals of the solution components, whereas at bare electrode surfaces the signals appear at a near potential to each other [19,20]. Compared to other modified electrodes, CNTs modified electrodes provide certain advantages such as high sensitivity and enhanced electron transfer. The enhancement of electrocatalytic activity of the redox couples at CNT based electrodes can be attributed to the presence of edge-plane like sites located at the end and in the defect areas of the CNT tubes [21,22]. In this work, the electrochemical behavior of a 7,8-dihydroxy-3,3-dimethyl-3,4-dihydrodibenzo[b,d]furan-1(2H)-one (abbreviated as DTD) is studied at oxidized multi-walled carbon nanotubes modified carbon paste electrode (OCNT-CPE). The presence of oxidized form of MWCNT at the modified electrode improves the electrochemical behavior and increases the electron transfer rate constant of DTD. This work shows that OCNT and DTD modified CPE (D/OC-CPE) with good redox behavior and relatively high electron transfer rate constant are suitable for electrocatalysis of LD. The calibration plot and selectivity of the modified electrode vs. LD is evaluated by differential pulse voltammetry (DPV). Also, simultaneous determination of LD, AC and Trp is confirmed by the modified electrode. A potentiostat/galvanostat (SAMA 500, electroanalyzer system, I.R. Iran) was used to carry out the electrochemical experiments. A conventional 3-electrode cell was used at 25 ± 1 °C. A saturated calomel electrode (SCE), platinum wire and D/OC-CPE were used as reference, auxiliary, and working electrodes, respectively. A Metrohm model 691 pH/mV was also used for pH measurements. All solutions were freshly prepared with doubly distilled water. LD, AC, Trp and other reagents were of analytical grade (Sigma Aldrich). Graphite powder from Merck and paraffin oil (DC 350, Merck, density = 0.88 g cm-3) as binding agents were used for carbon pastes. Buffer solutions were prepared from orthophosphoric acid, and its salts in the pH range of 2.0-12.0. Multi-walled carbon nanotubes (MWCNTs) with purity > 95%, outer diameter of 5-20 nm and tubes length of 1-10 μm were prepared from plasma chem. DTD was synthesized by electrosynthesis method according to the procedures described in the literature [23,24]. Briefly, 80 ml of 0.15 M sodium acetate in water, containing 2.0 mmol of catechols and 2.0 mmol of dimedone was electrolyzed in an undivided cell equipped with graphite anode and a large platinum gauze cathode under constant current density of 2 mA cm-2. The electrolysis was terminated when the current decayed to 5% of its initial value. At the end of electrolysis, a few drops of acetic acid were added to the solution and the cell was placed in a refrigerator overnight. The precipitated solid was collected by filtration, washed with water, and then recrystallized from a mixture of water/acetone. Since the oxygen functionalities on the surface of MWCNTs improve their electrochemical properties, OCNT were generated by treating MWCNTs with a mixture of concentrated H2SO4 and HNO3 (molar ratio 3:1) following the method reported in the literature . In a typical experiment, 75.0 ml of concentrated H2SO4 (97%) and 25.0 ml of concentrated HNO3 (65%) were mixed and added to 1.0 g of MWCNTs in a round-bottomed flask and heated under constant agitation at 50.0 ºC for 8.0 h. It was allowed to cool down to room temperature after which an equal quantity of deionized water was added. It was filtered and the residue was washed several times with deionized water until neutral pH was attained. The residue was then filtered and freeze-dried. D/OC-CPE was prepared by mixing of DTD, graphite powder and OCNT with the weight percentage of 1:95:4, respectively, using a mortar and pestle. Paraffin was added to the above mixture and mixed for 20 min until a uniformly wetted paste was obtained. This paste was then packed into the end of a glass tube (ca. 3.6 mm i.d. and 10 cm long). A copper wire inserted into the modified carbon paste provided an electrical contact. The DTD modified CPE (D-CPE), oxidized carbon nanotube modified CPE (OC-CPE) and unmodified carbon paste (CPE) were prepared in the same way but without adding OCNT, DTD and both of them, respectively. Scanning electron microscopy was used to detect possible morphological changes on MWCNTs after the treatment. SEM images of MWCNTs and OCNT are shown in Fig. 1. The raw MWCNT being strongly entangled it is practically impossible to align them (Fig. 1a). As the oxidation proceeds the MWCNTs are gradually freed from the entanglements favoring their alignment. Furthermore the MWCNTs with small diameters are lost (Fig. 1b). Based on our knowledge, there has not been a prior report on the electrochemical properties and the electrocatalytic activity of DTD. This compound is insoluble in aqueous media; therefore, we incorporate DTD and O/CNT to the carbon paste and prepare the D/OC-CPE. The electrochemical behavior of D/OC-CPE was first studied in a buffered solution (pH 7.4) using cyclic voltammetry (CV). The cyclic voltammograms for the modified electrode at different scan rates in 0.1 M phosphate buffer pH 7.4 are shown in Fig. 2. Cyclic voltammograms of D/OC-CPE exhibited an anodic and corresponding cathodic peaks (with Epa = 0.14 V, Epc = 0.08 V, E1/2 = 0.11 V vs. SCE, and ΔEp = 0.06 V at the scan rate of 200 mV s-1) related to DTD; therefore, this substance can be used as a mediator for the electrocatalysis of some important biological compounds with slow electron transfer. Also, the value of ΔEp suggests that the redox couple in D/OC-CPE has quasireversible behavior . Fig. 1. SEM images of MWCNTs before oxidation (a) and after oxidation (b). The effect of the potential scan rate (ν) on electrochemical properties of D/OC-CPE was also studied by CV. Plots of the both anodic and cathodic peak currents (Ip) were linearly dependent on ν in the range of 50-1400 mV s-1 (inset (a) of Fig. 2), indicating that the redox process of DTD at the modified electrode is diffusionless . The apparent charge transfer rate constant, ks, and the transfer coefficient, α, of DTD can be evaluated from CV experiments by using the variation of anodic and cathodic peak potentials with logarithm of scan rate, according to the procedure of Laviron . Fig. 2. Cyclic voltammograms of D/OC-CPE in buffer solution (pH 7.4) for different scan rates (inner to outer correspond to: 50, 100, 200, 300, 400, 500, 600, 700, 800, 1000, 1200 and 1400 mV s-1), inset a: The plot of anodic and cathodic peak currents vs. potential scan rate, inset b: The plot of peak potentials vs. the logarithm of the potential scan rate. Fig. 3. Cyclic voltammograms of 0.15 mM LD at the (c) bare CPE, (d) OC-CPE (e) D-CPE and (f) D/OC- CPE; curves (a) and (b) show the CVs of blank solution at the D/OC-CPE and bare CPE, respectively. In all cases electrolyte is phosphate buffer solution (pH 7.4) and scan rate is 15 mV s-1. where (1 - α)nα = 0.52, ν is the sweep rate and all other symbols having their conventional meanings. The value of ks was evaluated to be 15.88 s-1 using Eq. (1). The electrochemical behavior of D/OC-CPE was studied at different pH using cyclic voltammetry. Anodic and cathodic peak potentials of D/OC-CPE were shifted to the less positive values with increasing of pH. The plot of E1/2 as a function of pH was composed of a straight line with a slope of 57.40 mV pH1. Therefore the electro-oxidation of DTD obeys the Nernst equation for a two-electron and two-proton transfer reaction . In order to test the potential electrocatalytic activity of D/OC-CPE, its cyclic voltammetric response at 15.0 mV s-1 was obtained in buffer solution (pH 7.4) containing 0.15 mM LD. Curves (a) and (b) of Fig. 3 show cyclic voltammograms of D/OC-CPE and CPE, respectively, in buffer solution without LD. Curve (f) shows the oxidation peak of D/OC-CPE in the presence of LD. As it is seen, while the anodic peak potential for LD oxidation at the OC-CPE, and unmodified CPE are 433 mV (curve d) and 505 mV (curve c), respectively, the corresponding potential at D/OC-CPE is 175 mV. These results indicate that the peak potential for LD oxidation at the D/OC-CPE electrode shifts by 330 mV toward negative values compared to that of unmodified CPE. Thus, a decrease in the overvoltage approximately 330 mV and also an enhancement in the peak current is achieved with the modified electrode. This behavior is consistent with a very strong electrocatalytic effect of DTD via an EC´ mechanism. Comparison of curves (f) and (e) shows that the addition of OCNT to the DTD modified electrode causes an increasing in the oxidation current of LD. These data clearly show that the combination of OCNT and DTD definitely improves the characteristics of LD oxidation. The mechanism of electrocatalytic oxidation of LD at D/OC-CPE is EC´. In this mechanism, LD is oxidized in the catalytic chemical reaction (C´) by the oxidized form of DTD produced via an electrochemical reaction (E). Therefore, when DTD is oxidized at the potential of 175 mV, LD can be also oxidized in this potential. Thus, the levodopa is oxidized at the potential of 1y5 mV at D/OC-CPE while it is oxidized at 505 mV at the bare electrode. Fig. 4. Cyclic voltammograms of D/OC-CPE in 0.1 M phosphate buffer (pH 7.4) containing 0.2 mM DA at the various scan rates (inner to outer corresponds to 1, 4, 10, 15, 20, 25, 30, 40, 50, 60, 70, 80 and 90 mV s-1); insets a) variation of peak currents with square root of potential scan rate, b) variation of normalized peak currents with potential scan rate. The effect of scan rate on the electrocatalytic oxidation of LD at D/OC-CPE was investigated by CV (Fig. 4). As shown in inset (a) of this figure, the plot of peak current (Ip) vs. the square root of the scan rate (ν1/2), over the range of 1-90 mV s-1, was found to be linear, suggesting that the electrocatalysis of LD was diffusion controlled. Also, the plot of the scan rate normalized current (Ip/ν1/2) vs. scan rate exhibits the characteristic shape of an ECʹ process (inset b of Fig. 4) . Fig. 5. (A) Chronoamperograms of D/OC-CPE in 0.1 M phosphate buffer (pH 7.4) at a potential step of 260 mV for different concentrations of LD (inner to outer corresponds to 0.1, 0.2, 0.4, 0.6, 0.8 and 1.0 mM), Insets: (a) Plots of I vs. t-1/2, obtained from the chronoamperograms (b) Plot of the slope of straight lines against LD concentration; (B) dependence of IC/IL vs. t1/2 for different concentrations of LD. Fig. 6. DPVs of D/OC-CPE in 0.1 M buffer solution (pH 7.4) containing different concentrations of LD (inner to outer corresponds to: 1.0, 5.0, 10.0, 20.0, 40.0, 60.0, 80.0, 100.0, 200.0, 400.0, 600.0, 800.0, 1000.0, 1200.0, 1400.0, 1600.0, 1800.0 and 2000.0 µM), inset: calibration plot of LD. where IC is the catalytic current of LD at D/OC-CPE, IL is the limited current in the absence of LD, t is the time elapsed and Cb is the bulk concentration of LD. The above equation can be used to calculate the rate constant of the catalytic process k. Based on the slope of IC/IL vs. t1/2 plot; k can be obtained for a given LD concentration. Such plots obtained from the chronoamperograms are shown in Fig. 5B. From the values of the slopes an average value of k was found to be k = 2.31 × 106 M-1 s-1. Therefore, the catalytic reaction between LD and D/OC-CPE is very fast. Fig. 7. Differential pulse voltammograms of D/OC-CPE in phosphate buffer solution pH 7.4 containing different concentrations of LD, AC and Trp (from inner to outer corresponds to mixed solutions of 300.0 + 300.0 + 400.0, 500.0 + 500.0 + 666.6, 700.0 + 700.0 + 933.3, 900.0 + 900.0 + 1200.0, 1100.0 + 1100.0 + 1466.6, 1300.0 + 1300.0 + 1733.3 and 1500.0 + 1500.0 + 2000.0 µM, respectively), Insets a-c: calibration plots of LD, AC and Trp, respectively. Differential pulse voltammetry (DPV) were applied for different concentrations of LD by the proposed electrochemical sensor (D/OC-CPE). Figure 6 shows the DP voltammograms for the oxidation of different concentrations of LD at D/OC-CPE. The inset of this figure shows the plot of peak current versus LD concentration (calibration plot). Voltammograms clearly show that the plot of peak current vs. LD concentration is constituted of two linear segments with different slopes (slope: 0.1398 μA μM-1 for first linear segment and 0.0149 μA μM-1 for second linear segment), corresponding to two different ranges of substrate concentration (1.0-100.0 μM for the first linear segment and 100.0-2000.0 μM for the second linear segment). The decrease of sensitivity (slope) in the second linear range might be due to kinetic limitations . The detection limit (3σ) for LD in the lower range region was found to be 0.36 μM. In Table 1, the response characteristics of the proposed electrode are compared with some works reported by other research groups. aCarbon ionic liquid electrode. bGlassy carbon electrode. One of the main objectives of this study was to detect LD, AC and Trp, simultaneously. The utilization of the prepared sensor for this purpose was demonstrated by simultaneously changing their concentrations and recording the DPV. These results showed that the simultaneous determination of LD, AC and Trp with three well-distinguished anodic peaks at potentials of 143, 337 and 739 mV, corresponding to the oxidation of LD, AC and Trp, respectively, could be possible at the prepared sensor (Fig. 7). Insets of Fig. 7 show the calibration plots of LD, AC and Trp. The sensitivities of the modified electrode toward LD in the absence and presence of AC and Trp are virtually the same, indicating that the oxidation processes of LD, AC and Trp at D/OC-CPE are independent. Therefore, simultaneous or selective determination of these three analytes are possible without any interference. The influence of various foreign species on determination of LD was investigated. The tolerance limit was taken as the maximum concentration of the foreign substances, which caused an approximately ±5% relative error in determination of LD. The maximum concentrations of foreign substances which did not interfere with determination of LD were 10-fold excess than LD concentrations for Na+, K+, SO42-, NO3-, glucose, sucrose, fructose, L-asparagines, L-lysine, glutamic acid, serine, N-acetyl-L-cysteine, threonine, penicillin, glutathione, valine, leucine, glycine and L-cysteine, piroxicam, captopril, L-tyrosin. The utilization of the proposed electrode in real sample analysis was also investigated by direct analysis of LD, AC and Trp in human serum sample. The DPV technique was used in the experiments. The samples were found to be free from LD, AC and Trp. Therefore, different amounts of LD, AC and Trp was spiked to the sample and analyzed by the proposed method. The results for determination of the three species in a real sample are given in Table 2. Based on these results, D/OC-CPE shows good activity for the analysis of real samples, especially in the case of human serum sample which has most of one hundred various biological and mineral compounds, and the obtained results and recoveries were satisfactory. This procedure was repeated five times and the relative standard deviation was 2.5%. Electrochemical behavior of DTD was investigated at carbon paste electrode modified with it and oxidized CNTs. The results show that the presence of oxidized CNT at the modified electrode improves the transfer rate constant of DTD. Oxidation of LD is catalyzed at pH 7.4, whereas the peak potential of LD is shifted by 330 mV to a less positive potential at the surface of D/OC-CPE. The catalytic peak currents obtained from DPV were linearly dependent on the LD concentration in the range of 1.0-2000.0 μM. The detection limit (3σ) for LD was 0.36 μM. The results show that AC and Trp have no interference with LD detection, and therefore AC, Trp, and LD can be simultaneously detected. The proposed method can be also applied to the determination of LD in human serum samples. The authors wish to thank the Yazd University Research Council, IUT Research Council and Excellence in Sensors for financial support of this research. D. Cui, in:, Med. Chem. Pharmacol. Potential Fullerenes Carbon Nanotub., Springer, 2008, pp. 181-221. M. Mazloum-Ardakani, M.A. Sheikh-Mohseni, Carbon Nanotubes in Electrochemical Sensors, InTech, Croatia, 2011. P.M. Ajayan, Chem. Rev. 99 (1999) 1787. B. Rezaei, A.A. Ensafi, E. Jamshidi-mofrad, Sensor. Actuator. B. Chem. 211 (2015) 138. M. Mazloum-Ardakani, A. Khoshroo, L. Hosseinzadeh, Sensor. Actuator. B. Chem. 214 (2015) 132. L. Qian, X. Yang, Colloids Surfaces A Physicochem. Eng. Asp. 278 (2006) 123. C.-H. Liu, J.-J. Li, H.-L. Zhang, B.-R. Li, Y. Guo, Colloids Surfaces A Physicochem. Eng. Asp. 313 (2008) 9. G.P. Pandey, S.A. Hashmi, Electrochim. Acta 105 (2013) 333. M. Rahsepar, M. Pakshir, H. Kim, Electrochim. Acta 108 (2013) 769. M. Mazloum-Ardakani, A. Naser-Sadrabadi, M.A. Sheikh-Mohseni, H. Naeimi, A. Benvidi, A. Khoshroo, J. Electroanal. Chem. 705 (2013) 75. M. Mazloum-Ardakani, A. Khoshroo, J. Electroanal. Chem. 717 (2014) 17. S.W. Kim, T. Kim, Y.S. Kim, H.S. Choi, H.J. Lim, S.J. Yang, C.R. Park, Carbon N. Y. 50 (2012) 3. W. Linert, I. Lukovits, J. Chem. Inf. Model. 47 (2007) 887. V. Datsyuk, M. Kalyva, K. Papagelis, J. Parthenios, D. Tasis, A. Siokou, I. Kallitsis, C. Galiotis, Carbon N. Y. 46 (2008) 833. S.-H. Su, W.-T. Chiang, C.-C. Lin, M. Yokoyama, Phys. E Low-Dimensional Syst. 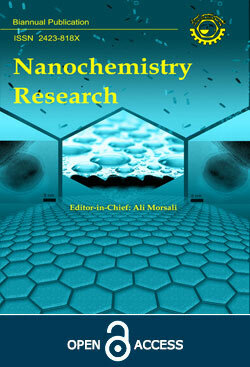 Nanostructures 40 (2008) 2322. M. Mazloum-Ardakani, F. Sabaghian, A. Khoshroo, M. Abolhasani, H. Naeimi, Ionics (Kiel). (2014) 1. M. Mazloum-Ardakani, M. Zokaie, A. Khoshroo, Ionics (Kiel) (2015) 1. V.K. Gupta, H. Karimi-Maleh, R. Sadegh, Int. J. Electrochem. Sci. 10 (2015) 303. M. Mazloum-Ardakani, S.H. Ahmadi, Z.S. Mahmoudabadi, A. Khoshroo, J. Braz. Chem. Soc. 25 (2014) 1630. C.E. Banks, T.J. Davies, G.G. Wildgoose, R.G. Compton, Chem. Commun. (2005) 829. M. Mazloum-Ardakani, A. Khoshroo, Electrochem. Commun. 42 (2014) 9. D. Nematollahi, D. Habibi, M. Rahmati, M. Rafiee, J. Org. Chem. 69 (2004) 2637. M. Mazloum-Ardakani, A. Khoshroo, D. Nematollahi, B.-F. Mirjalili, J. Electrochem. Soc. 159 (2012) H912. A.J. Bard, L.R. Faulkner, Electrochemical Methods: Fundamentals and Applications, 2nd ed., Wiley, 2000. E. Laviron, J. Electroanal. Chem. Interfacial Electrochem. 101 (1979) 19. Z. Galus, G.F. Reynolds, S. Marcinkiewicz, Fundamentals of Electrochemical Analysis, Ellis Horwood New York, 1976. A. Babaei, A. Reza, M. Aminikhah, Electrochim. Acta 90 (2013) 317. M. Aslanoglu, A. Kutluay, S. Goktas, S. Karabulut, J. Chem. Sci. 121 (2009) 209. M. Baghayeri, M. Namadchian, Electrochim. Acta 108 (2013) 22. J.B. Raoof, R. Ojani, M. Amiri-Aref, M. Baghayeri, Sensor. Actuator. B. Chem. 166 (2012) 508.